There is a wide range of options to listen free Radio Stations on your Desktop computer. Windows 8 puts the world of music at your finger tips. If You want spice up your evening with some latin beats, you can tune into any radio station worldwide. 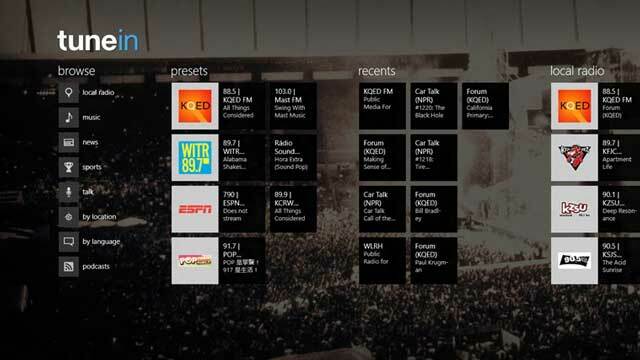 Now you can listen radio stations in your Windows 8 using metro Apps. 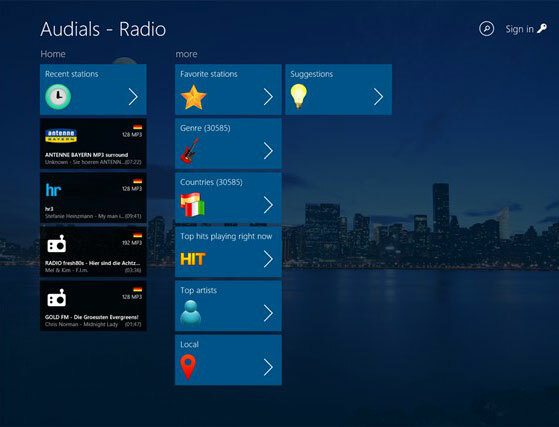 Many Popular Online Radio Stations services have launched their windows 8 Apps. Tune your favorite international Radio from your Desktop without any trouble. 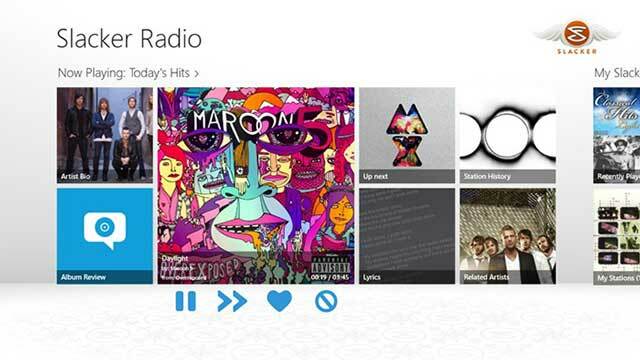 Here, I’ve listed the Top 3 Online Radio Stations for your windows 8 PC and Tablets. Want Hassle Free Online Music Entertainment? Audials Radio is the best choice to hear any music genres. It provides more than 40,000 radio stations from all around the world. The best bet of this app is you will never receive any commercials. So you can tune into your favorite music stations without any annoyances. More than 70 genres and the complete artists to enjoy the music you want. And the best part is, absolutely no commercials! The latest version of Audials offers database with over 100K video and audio podcasts. In addition, you can broadcast your own radio station. Pin your favorite radio stations, genres and Artists to easily access them in any occasions. When you install the Slacker Radio, you will load tons of music into your system. Millions of songs and hundreds of expert-programmed stations all over the Globe are ready to entertain you anywhere and anytime. Listeners can also personalize their experience with news, talk and sports from ABC, ESPN and more. If you want commercial free music, just subscribe to premium service. Don’t forget to checkout our Best Online Music Streaming Sites to hear unlimited Music.